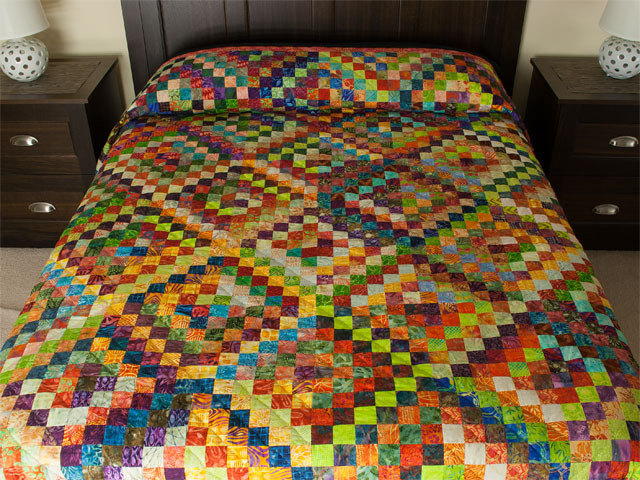 This beauty would be so fun to sleep under. 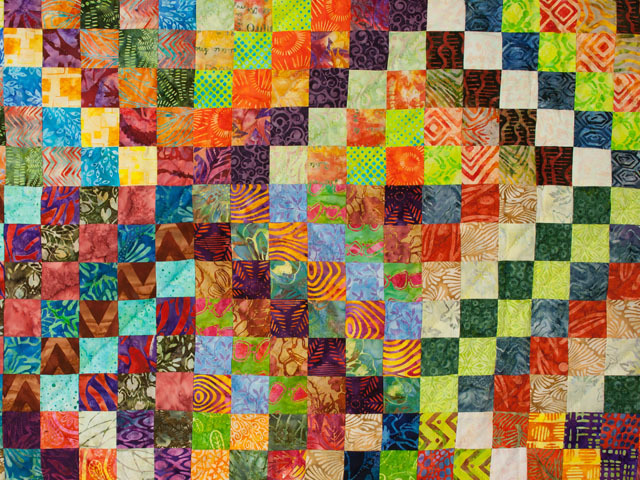 I can just recall as a kid needing to take afternoon naps and wishing for a quilt just like this to stir my artistic love of fabrics and colors while I tried NOT to fall asleep. 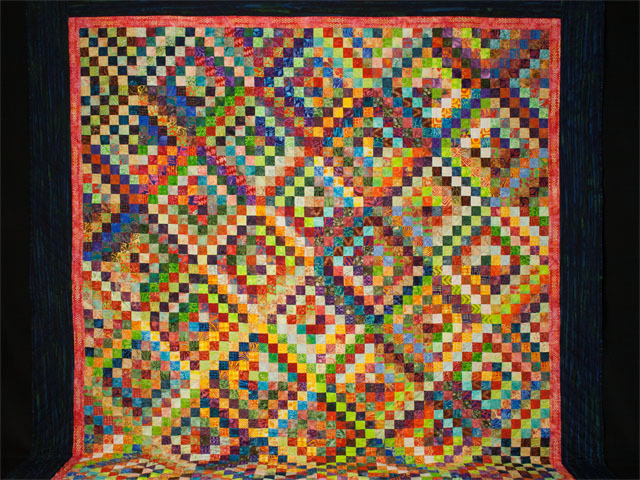 But no such quilt was on my bed. 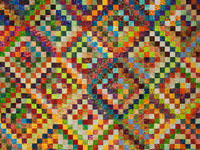 The scrappy trip around the world is done in 10" squares with each block containing 25 small squares per block. 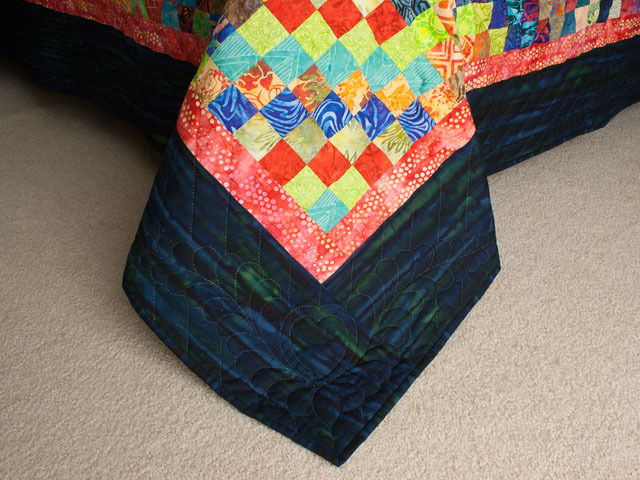 These patches are done in 100% cotton batiks and the quilt also has a batik double border and a beautiful backing on the underside. 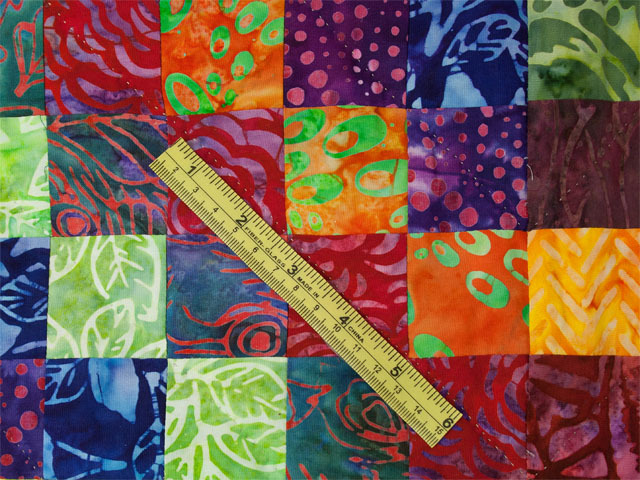 This pattern would also be great to make in Kaffe Fassett fabrics and that idea needs to be on my to do list too. 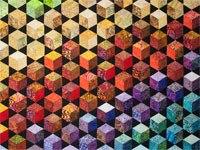 Let's see if that will happen. 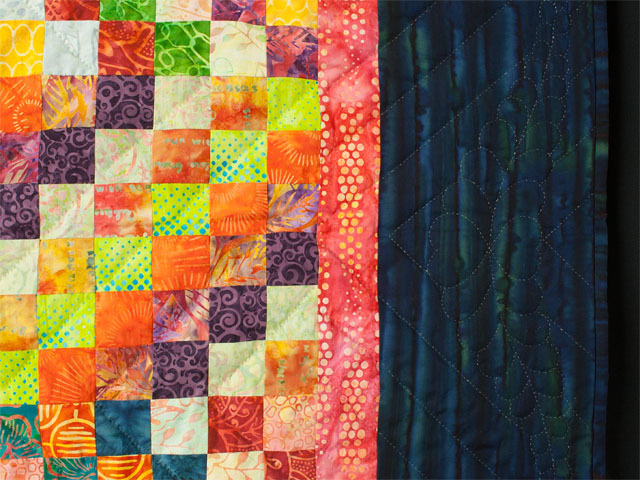 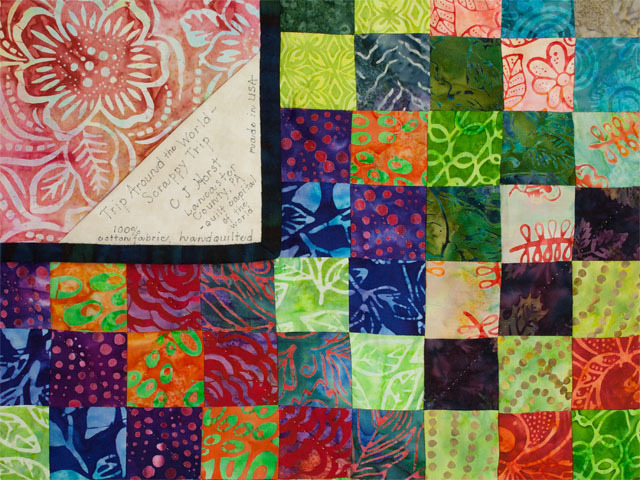 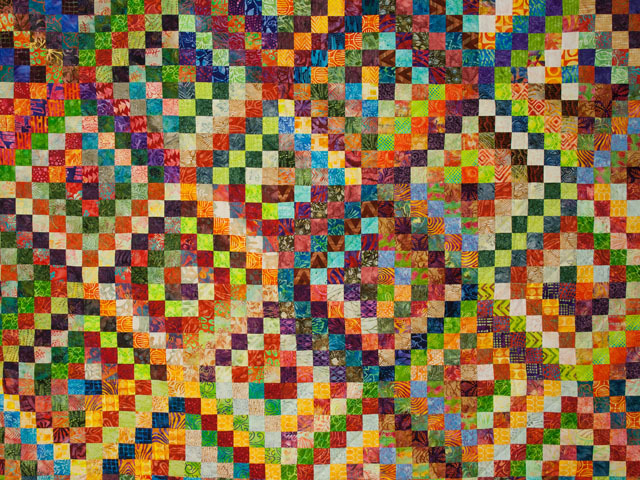 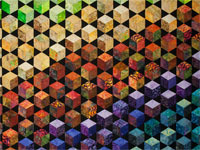 A joyous blend of bright colors in happy and carefree colorings - all batiks... A high quality quilt.